Kochi Wanaba will be published by Blank Slate Books! Quite often you work on things not even thinking about what the end result will be, or what you’re going to do with it. 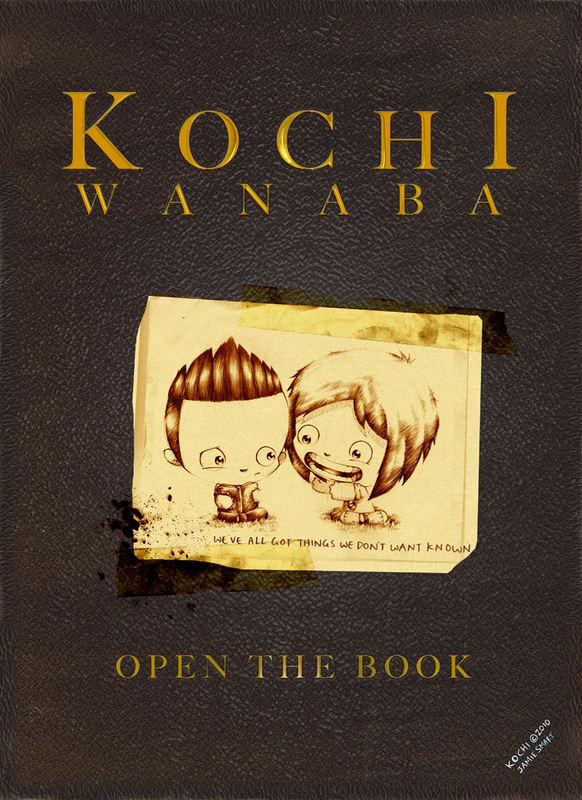 Kochi Wanaba was one such thing for me, a real labour of love but with no clear end product planned, I just knew I wanted to do it. Once finished, I toyed with the idea of self-publishing but quality control put paid to that, so instead I decided to put the whole thing online. And I’m very glad I did, I was touched by how wrapped up in it people became, and there were a lot of calls to release the material as a book. In my mind, the idea of it being a book was always a bit of a lost opportunity. I can’t say why, in case you haven’t read it yet and it spoils anything for you, but it would make sense. 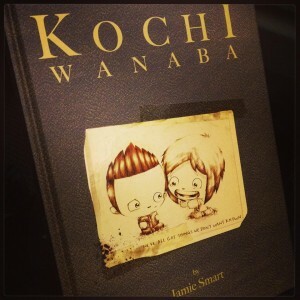 So I’m very pleased to say that Blank Slate will be publishing Kochi Wanaba. Blank Slate are really rising through the ranks as one of the best UK publishers, (check out some of their titles and artists here ), worth noting that their book Psychiatric Tales by Darryl Cunningham just hit number one in the amazon graphic novels list! Congrats! So finally, yes, we’re making it a book. For release when, not quite sure. It’d be optimistic to say this year perhaps, but as soon as possible. Thing I learned with Kochi is it was rather tricky to print, and print well, while retaining the pencils properly, so there needs to be a bit of working out as to how best to do this. 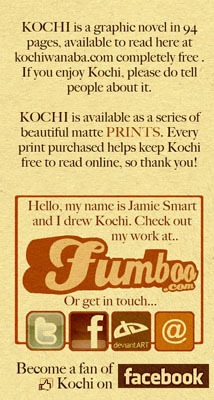 What I can say is for me, publishing Kochi as a book is a great opportunity to show all the work that didn’t make it online. 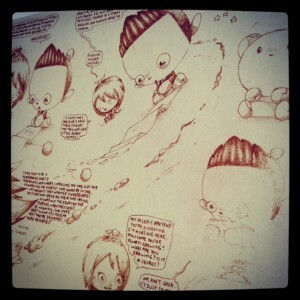 There are a ton of pages and sketches which didn’t fit in, and I’d like to explain a few things in there too. We’ll make sure it’s a beautiful thing. In the meantime, if you haven’t read Kochi yet, YOU CAN READ IT NOW(contains swearing and violence) or just wait for the book. Phew, two book announcements in two days! Mental innit. One last mention, i’ll be at MCM Expo in London tomorrow (saturday), signing between 11 and 1. So do come along. Follow me on twitter and i’ll try and say where in the comics village it’ll be (as soon as i know), in case you want to be one of the first five to bring a copy of Find Chaffy and win a Chaffy toy!